#282-35 - Specter's UB40 front fender flares are made of top quality unbreakable urethane material. You can bend and twist them, but you can't break them! 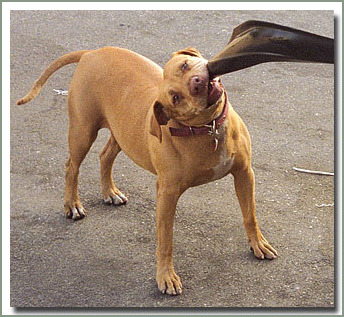 They are extremely durable! Flares cover approximately 2 additional inches beyond the factory fender. These flares were designed for larger, wider tires. Easy to install! 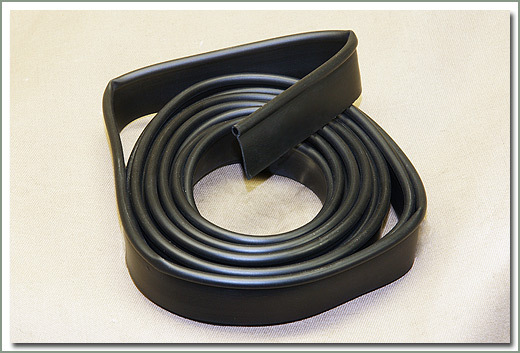 Fender flares come in a black urethane finish, complete with installation hardware and instructions. Includes welting and screws. Sold exclusively by Specter Off-Road. 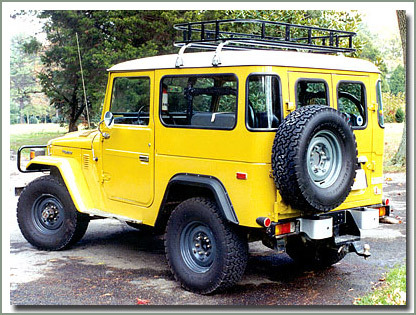 Fits all 40 Series (including Pickups, Troopies, and Wagons). Sold in pairs. #282-40UB-KIT - Save money when you buy SOR's Front & Rear UB40 Fender Flares as a kit. Comes complete with front and rear flare sets in a single package with installation hardware and instructions, includes welting and screws. Sold exclusively by Specter Off-Road. Does NOT fit 45 Series LWB Pickups or Wagons. Sold in a set of 4. 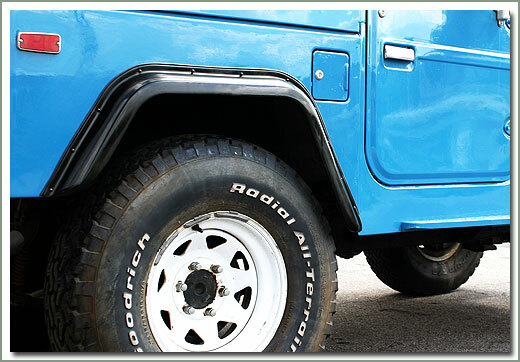 Specter's UB40 rear fender flares are made of top quality unbreakable urethane material. You can bend and twist them, but you can't break them! They are extremely durable! Flares cover approximately 2 1/2 inches from the factory fender well. 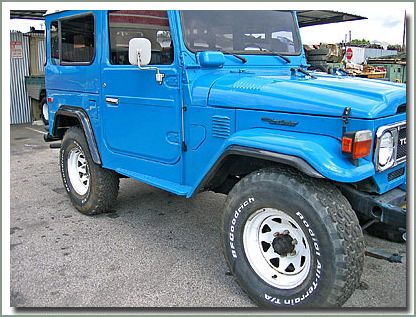 These flares were originally designed for vehicles that cut the rear fender opening for larger, wider tires, but can also be installed without cutting the opening. Easy to install! 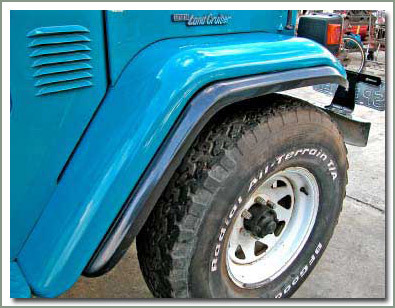 Fender flares come in a black urethane finish, complete with installation hardware and instructions. Includes welting and screws. Sold exclusively by Specter Off-Road. Does NOT fit 45 Series LWB Pickups or Wagons. Sold in pairs. #282-40UB-KIT - Save money when you buy SOR's Front & Rear UB40 Fender Flares as a kit. Comes complete with front and rear flare sets in a single package with installation hardware and instructions, includes welting and screws. 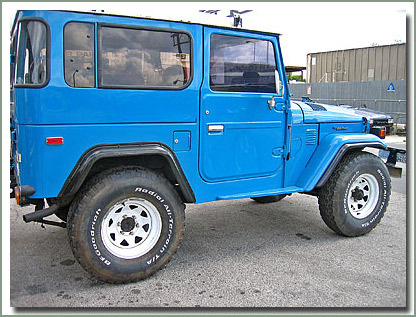 Sold exclusively by Specter Off-Road. Does NOT fit 45 Series LWB Pickups or Wagons. Sold in a set of 4.